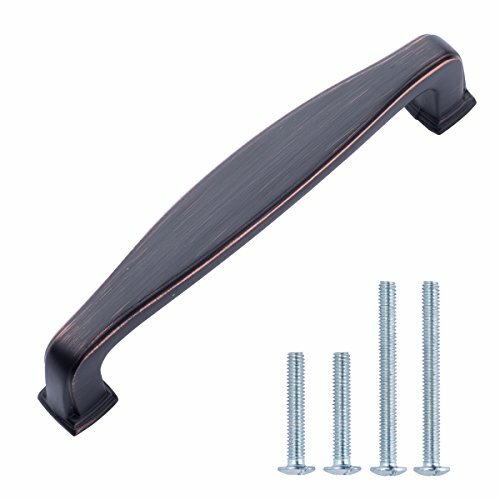 AmazonBasics Traditional Arch Cabinet Handle, 4.38'' Length (3.75'' Hole Center), Oil Rubbed Bronze, 10-Pack by AmazonBasics at Verso Laquila. Hurry! Limited time offer. Offer valid only while supplies last. AmazonBasics cabinet pulls are made from durable zinc-alloy and are hand finished to ensure a uniform look amongst all styles and hardware sets.